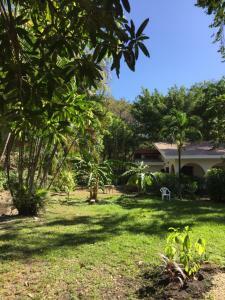 ﻿ Best Price on Bella Vista Mar in Playa Pelada + Reviews! 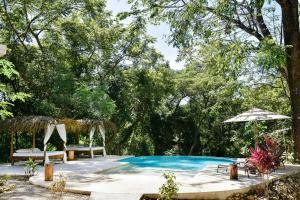 Located on a hilltop just 6 minutes' walk from Nosara Biological Reserve, Bella Vista Mar features stunning ocean views from most areas of the property. Free WiFi and free parking is provided. Accessed by a private entrance, all rooms at Costa Rica Bella Vista Mar offer an private bathroom. Made-to-order breakfast is included in the price, while yoga, massage and meditation services are available at an extra cost. Private check-in services, laundry facilities and airport shuttle services are also offered. 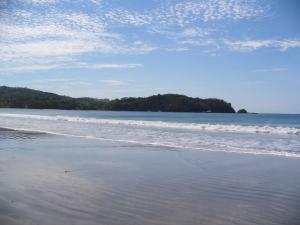 Playa Pelada Beach is a 5-minute drive from Bella Vista Mar and Playa Guiones Beach is a 10-minute drive away. Nosara Airport is within an 8-minute drive and Daniel Oduber Quirós International Airport is 71 mi away. You must show a valid photo ID upon check-in. Please note that all special requests cannot be guaranteed and are subject to availability upon check-in. Additional charges may apply. Children under 6 years of age are not allowed. For more information please contact the property directly. Please note that PayPal or Cash are the only payment methods accepted. Payment before arrival via Paypal is required. The property will contact you after you book to provide instructions. Please inform Bella Vista Mar of your expected arrival time in advance. You can use the Special Requests box when booking, or contact the property directly using the contact details in your confirmation.